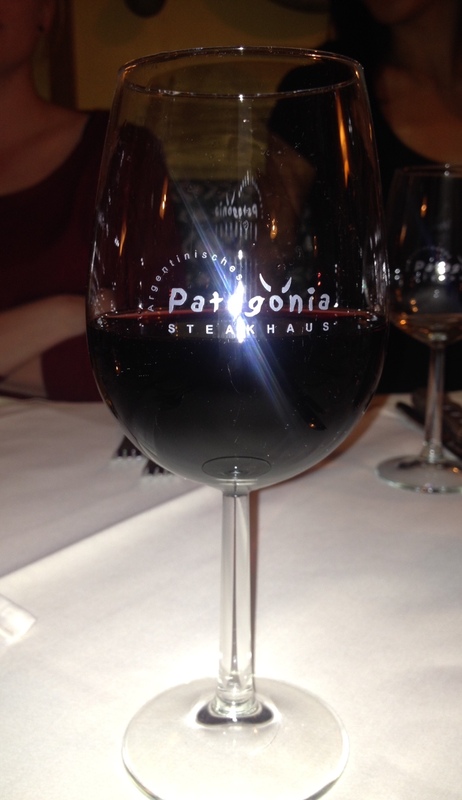 After weeks of building anticipation, the night had finally arrived when we were taking the trip out to the Swiss border to enjoy dinner at Patagonia Steakhouse. As we were a group of 12 it had taken over a month to get a reservation, and with the good reviews from friends and family mounting up, this Argentinian Steakhouse had a lot to live up to. This is not somewhere that you decide to visit at the last minute if you are craving some good meat, as even on this quiet Sunday evening a couple were turned away due to no available tables. So reservations are pretty much essential, but lets face it, when aren’t you in the mood for a good steak (apart from if you are a vegetarian). It was a dark Autumn Sunday when we took the half hour drive out to Gaißau, and after working on the weekend, I will admit that my motivation for going out was pretty low. As we arrived we could count the number of Austrian number plates on one hand. This is definitely popular with the Swiss. As soon as we walked into the restaurant my spirits lifted by its war m and welcoming atmosphere. It is a hive of activity, bustling with customers and wait staff and everywhere you look the walls are adorned with farming and cattle artifacts and photos. If you weren’t hungry before you got here, the strong aroma of meat coming out of the kitchen will certainly ensure you are by the time you are seated at your table. Perusing the menu, there were no real surprises, it was meat, meat and more meat, with the ultimate choice being which bit of the cow and how much of it you wanted to eat. Perfect :). The weight selection started at 200g and worked all the way up to half a cow (or 500g), with prices increasing accordingly (and dependent on the cut you want, like all steakhouses). You then pay extra for sides, such as brocolli, salads, baked potato, fries and if you want an accompanying sauce (mushroom, pepper, béarnaise etc). We were aware that this restaurant has a fairly good price tag associated with it, but for a good steak, I actually expected it to be more expensive than it was. They also offered a page of specials, which include a variety of their steaks, served with grilled prawns and sides of either baked potatoes or fries, salad or vegetables and béarnaise sauce. This proved to be a popular choice for our table. 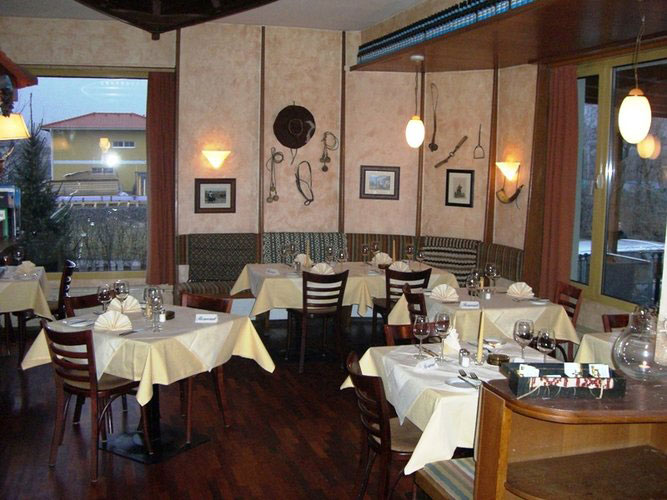 The option of lamb, pork, and chicken is also available, and if you’re not a meat fan (you’re probably not reading this post anyway), but they do offer a couple of fish dishes, but lets be realistic, when you head to a steakhouse, steak is normally the order of the day. If a 500g steak is not enough to fill your appetite, they also offer a good range of starters from chorizo, prawns, and carpacio. After successfully placing our orders we were served with a basket of warm bread along with an assortment of olives, dips and spreads, including a spicy salsa, and a cheesy butter spread (not entirely sure on what was in it, but it tasted great on the warm bread). This was quickly devoured and then the contemplation that stocking up on bread was probably not the best idea kicked in, but it was delicious, so who cares. Even though we were a large group, all of our mains came out quite quickly and together, and everyone got the steak cooked to their liking without any issues. Medium rare was the General consensus, but I would suggest that this was verging more on the rare side than the medium, which is not to everyone’s taste. 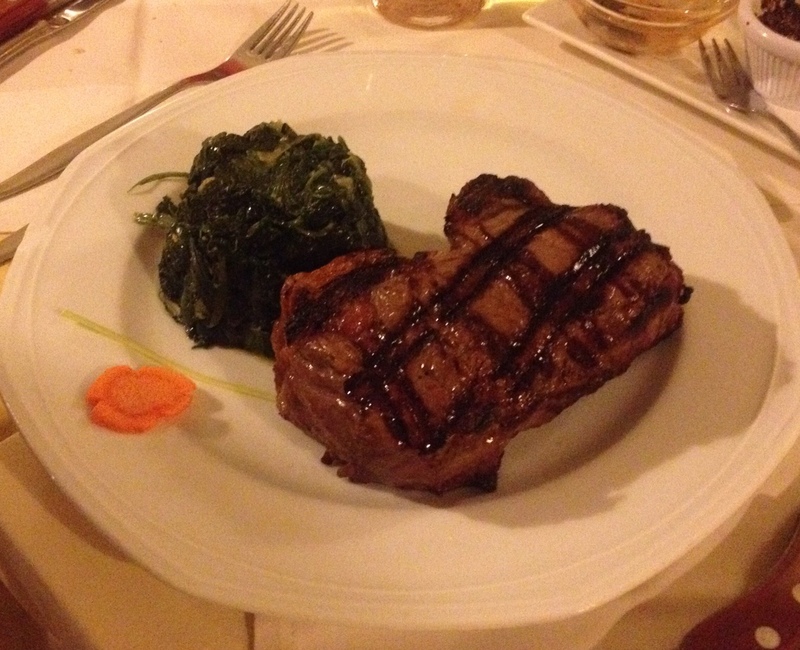 One brave soul had ordered a 400g steak, which took up half of his plate, but had wisely decided against adding carbs to that, with just simple spinach as a side. 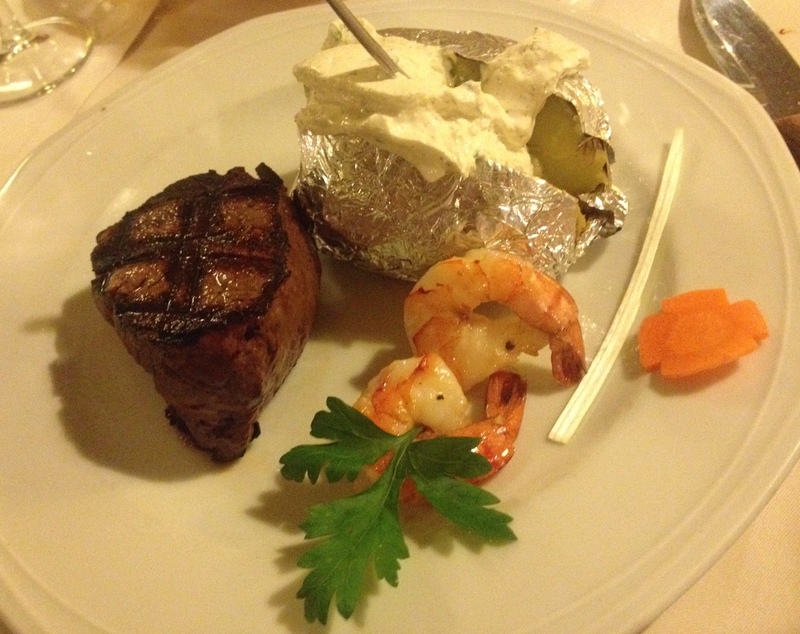 I had chosen a house special of 200g fillet steak (as my belief is if you’re going out to eat steak, it may as well be the best there is) with prawns, salad and a baked potato, smoothered in sour cream. The béarnaise sauce was served seperately, with a gravy boat per person, meaning we ended up with enough sauce on the table for us to swim in. I personally always prefer when sauce is served seperately, as then you can choose how much you want and when a steak is good, you shouldn’t really need any sauce, and this steak didn’t need any sauce, but it didn’t stop me trying it. It was extremely rich and had a lovely hint of cinnamon, which made it “taste like Christmas”. Silence instantly fell over the table as we all tucked in, which is usually a good indication of the quality of the meal. The steaks were thick and juicy and beautiful pieces of meat. Roger’s immaculately clean plate, after mopping up all of the amazing juices with the remaining bread, also suggested he throughly enjoyed his Steak. Unfortunately, I have to report that the 400g proved too much for our friend. The baked potato was also delicious with plentiful sour cream, but with my priority being the steak, there was just not enough room for all of the potato aswell, so it remained standing lonely and unloved as my plate was taken away. 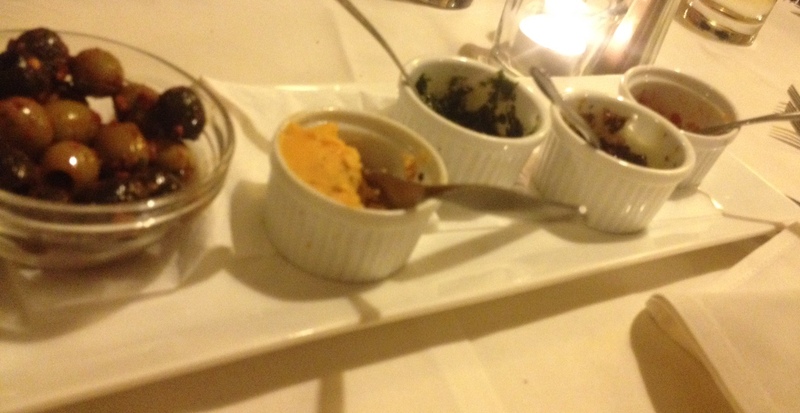 Dessert was offered, and the sideward glances began, seeing who was brave enough to fit anymore food in, but everyone was struggling to move as it was, and so it was politely declined. 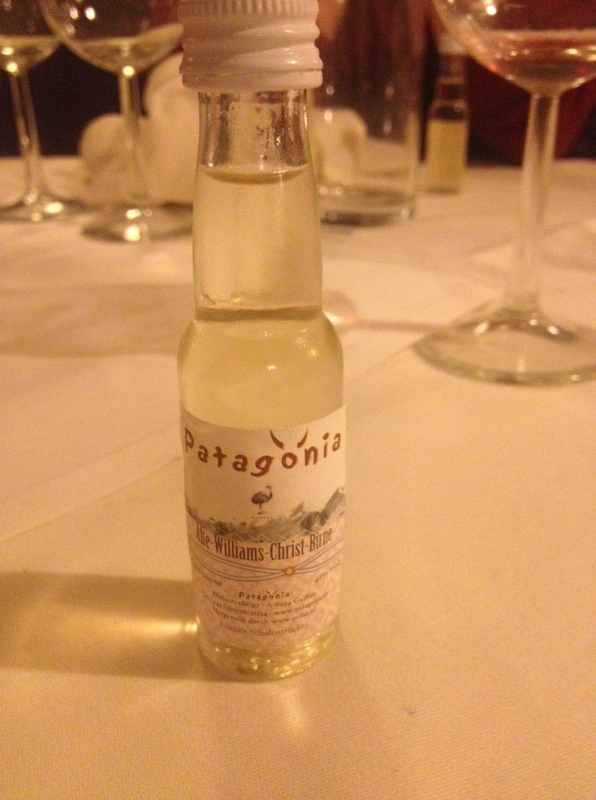 To finish off the meal though we were each presented with a little bottle of schnapps (just to remind you than you are not actually in Patagonia, but still in Vorarlberg). Full to the brim, with the bottle of schnapps safely in my bag for a later date, and smelling distinctly like meat, we called it a night. As we walked out of the door we were farewelled by the waiters in a way that I had not yet experienced in Austria, or Australia for that matter: “Ciao Chica’s” and with that I left with a smile on my face.